Madhaven’s presentation, How Smart Companies Design the Product around the Price, is based on research he recently conducted for his new book of the same title (a signed copy of which will be given to all attendees). 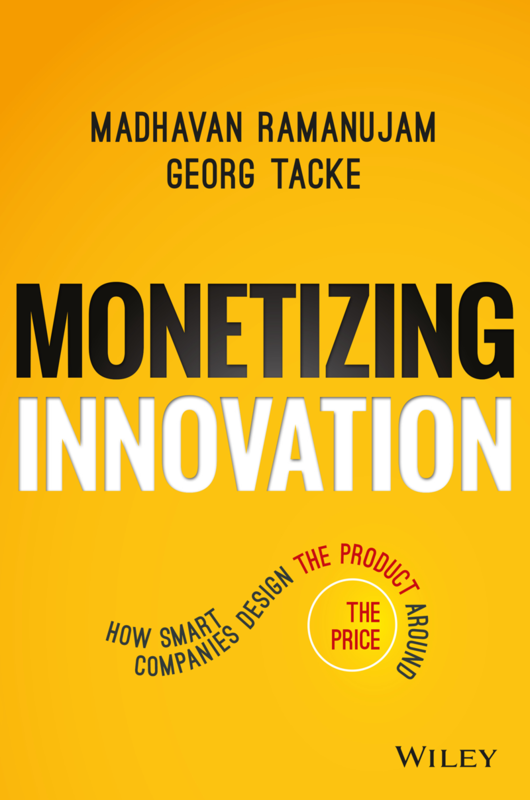 for monetizing innovations. These are built on the lessons Simon-Kucher has learned from the more than 10,000 projects it has undertaken for companies around the world. At the core of these rules is the belief that products and solutions should be designed purely around things that customers place real, tangible value on – something that’s admittedly easier said than done. Product and service innovations have around a 70% failure rate, either missing their revenue and profit goals or failing entirely. Madhavan’s rules could have a huge impact on helping software companies fully extract the value from their products and services. I’m a big fan of putting theories into practice, so I’m particularly looking forward to hearing how some of the biggest brands in the world – companies like Uber, Porsche, and LinkedIn – have applied these rules to their own businesses. Software-as-a-Service offering or looking to monetize the embedded software in their hardware products. With the transition from on-premise software delivery to the cloud and the explosion of the IoT/M2M economy, there has never been a more opportune moment to re-evaluate everything we think we know about successfully pricing offerings in the market. There are a few places left if you would like to hear Madhavan’s presentation and get a chance to ask him any questions. He’s scheduled to appear on day two of the event and will join a stellar lineup of speakers. Attendance is free of charge for anyone involved in software monetization strategy, making this one occasion where return on investment definitely won’t be an issue!